The rover Opportunity has been on the surface of Mars for over seven years now. From Astronomy Picture of the Day for January 29th: Opportunity at Santa Maria Crater. The panorama is much more detailed on the APOD site. Celebrating 7 years on the surface of the Red Planet, Mars exploration rover Opportunity now stands near the rim of 90 meter wide Santa Maria crater. Remarkably, Opportunity and its fellow rover Spirit were initially intended for a 3 month long primary mission. Still exploring, the golf cart-sized robot and shadow (far right) appear in the foreground of this panoramic view of its current location. The mosaic was constructed using images from the rover’s navigation camera. On its 7 year anniversary, Opportunity can boast traversing a total of 26.7 kilometers along the martian surface. 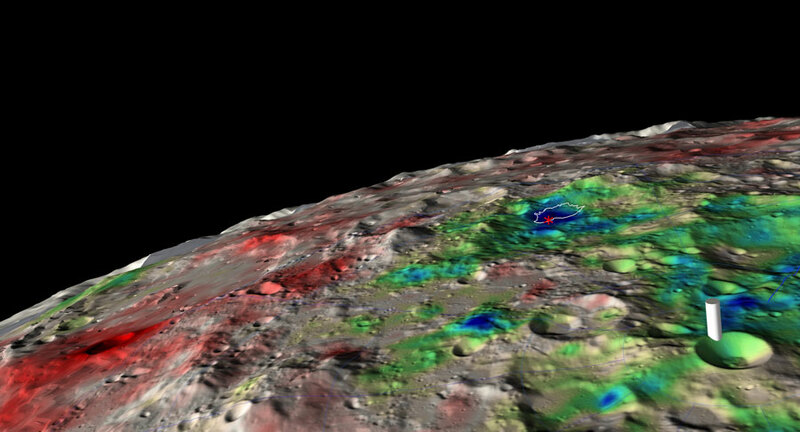 After investigating Santa Maria crater, controllers plan to have Opportunity resume a long-term trek toward Endurance crater, a large, 22 kilometer diameter crater about 6 kilometers from Santa Maria. During coming days, communication with the rover will be more difficult as Mars moves close to alignment with the Sun as seen from planet Earth’s perspective. I’ve only seen the northern lights (aurora borealis) once, and that only faintly. 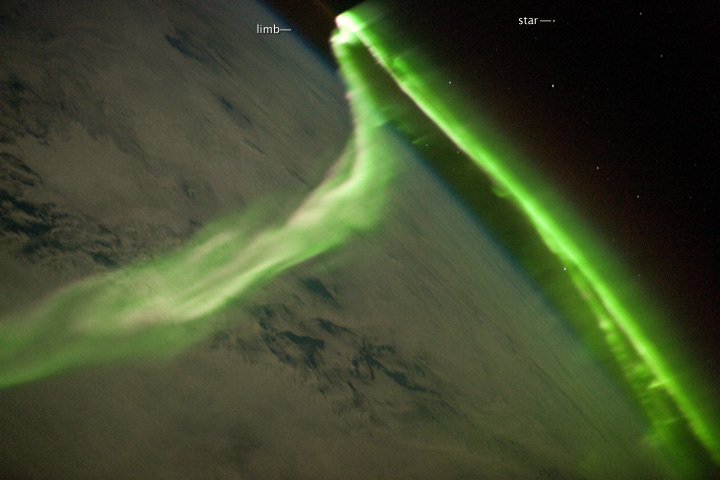 Here’s a photo of the southern lights from the International Space Station. From NASA’s Earth Observatory Image of the Day, June 21, 2010: Aurora Australis Observed from the International Space Station.